What makes a strong leader? Is it someone who is born a leader or someone who is molded and learns? Is it someone who takes ownership for their projects and works with all their might or do they include others and delegate responsibility? This video describes a true leader. 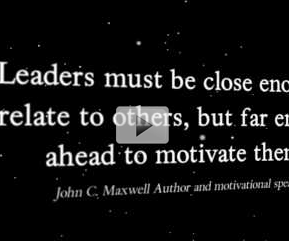 Watch to find out what type of leader you are.